Unlocking car doors to retrieve the keys locked inside is not easy these days. Due to the high tech key & lock systems, you need an expert in such jobs. We cover unlock car Toronto services with speed and professionalism. When you are stuck outside your car and need assistance, remember that our company is at your disposal for 24 hour car lockout service in Toronto, Ontario. With our car unlocking service in Toronto, you are sure the lock is not damaged and the job is done in a timely and professional manner. By working only with experienced and well-equipped techs, our company covers car lock & key problems to your expectations. Being locked out is nobody’s idea of entertainment. In such occasions, you need help fast and the job done correctly. Turn to FC Locksmith to be certain that any problem that kept you from accessing your car is properly and correctly tackled. 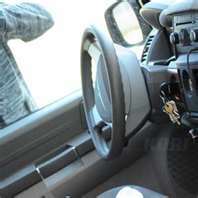 A car lockout will occur when keys are lost, damaged, or broken. It will occur when keys are locked inside the car or when locks are broken. There is no doubt that such problems are serious. But let us assure you that a pro will be assisting minutes after you make the call to us. Equipped with cutting edge machinery, they are able not only to unlock car doors but change locks, replace keys, program chip keys, and resolve any related concern. Do call us for any problem and a tech will be there to handle it right away. Count on our company to send to you an experienced locksmith for the car opening service and handle such needs 24/7. No matter how late it might be or what car model and year you own, place a call to us. We are the Toronto unlock car door service provider near you and ready to help you. Call our locksmith 24/7.